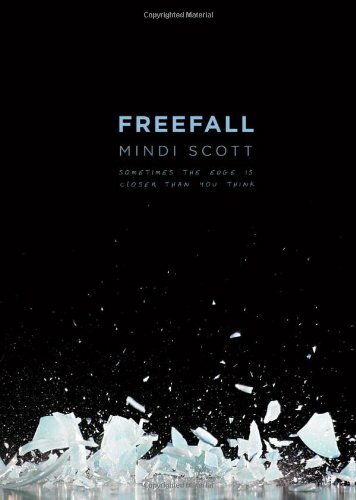 In a genre overloaded with bubble-gum-pink teendom and paranormal dark fantasy full of fangs and fur, Mindi Scott’s debut novel Freefall stands out as fresh, realistic, young adult fiction. Highlighting the dark (and yet acutely relevant) side of high school today, Scott brings to the table heavy issues that are impacting teens with a storyline that reads as real as life itself. With characters that ring true and a journey that proves honest, Freefall is no doubt sure to be one of the best contemporary young adult books of the year. Seth is your average teenage boy—until the death of his best friend Isaac from binge drinking. Haunted by regret, Seth fights to find a place of safety in the unsteady world of high school. Drugs, alcohol, and music have all been part of his past, but what will be his future? What will life look like without Isaac? And could he have prevented the death of his best friend by doing something as simple as rolling him over as he slept? On the other side of the high school social stratum is Rosetta, a new girl in town with her own secret battles, a girl who refuses to ride in cars and attracts Seth like a moth to a flame. Beautiful and rich, Rosetta seems out of Seth’s league, but she’s as drawn to him as he is to her. Their battle to be together becomes almost as strong as the fight they wage against their own personal demons. Highlighting relevant teen issues such as binge drinking, drug use, and cliques, Freefall is a story not only with a lesson but also with a heart. Scott’s writing is honest without being preachy and never feels like an adult lecturing teens, but a story of how two people can help each other get on track in their lives despite the tempting influences and behavioral “rules” that seem to surround them. Freefall is a book for teens to relate to but also a book for them to learn from. It’s a must for teens, parents, and even other adults. Scott’s novel is more than just a well written book about the struggles of adolescence; it’s a book that deserves to be read and acknowledged by readers as a true portrait of what teens battle in our modern world.